Yarn~ Fondant Fibre Superwash Polwarth in the color Harmony. Guess who finished her May socks? Can I just mention what a treat this pattern was to knit? 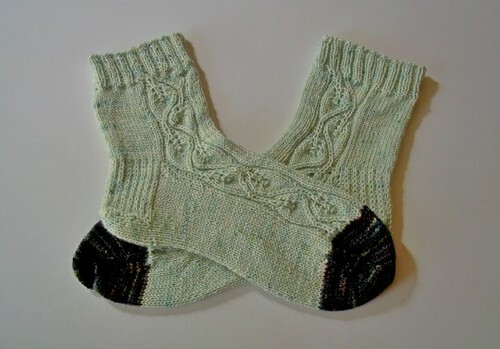 Woodland Walk Socks is a pattern from Olivia of This Handmade Life. It is one of those patterns that where you are excited to finish each leaf and before you know it, you have a finished sock. I love those kinds of patterns. Now, I am not sure about you but one of the best things about finishing up a pair of socks is that it provides me with mini skeins. One of these will be saved for my "taking forever" blanket and the others I will swap with others. 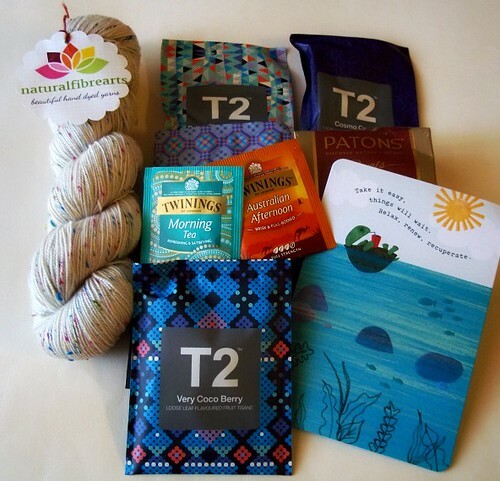 If you are interested in a mini skein swap, there is a thread in the My Sister's Knitter Raverly group where you can get your swap on. It tends to be quite during the warmer months, but if you post that you are wanting to swap, you will no doubt get a taker. Okay so I mentioned the souvenirs that my sister brought me back from London. 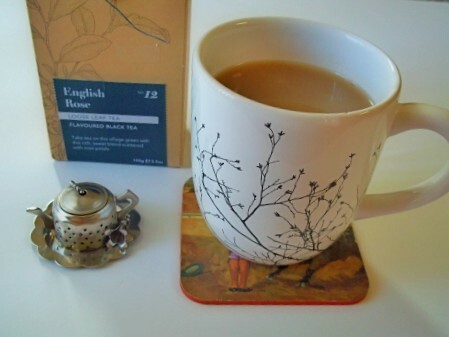 Tea and an adorable tea strainer. Seriously does it get better than that? Of course yarn would have been brilliant, but if you can believe it the sister did not visit any yarn stores. I did advise her that she may have to turn in her crocheter badge. ;) Then again I am that person that dreams of going on an across the U.S. yarn crawl, one where I visit each state for the sole purpose of visiting the yarn stores there. Heh. I am going to leave you with a sweet song and wish you the very best day today! Hello there! How was your week? Did it feel like eternity like mine or was it just right? Maybe mine felt like eternity because everything I have done in the last week has felt like it has been going at a snail's pace. Then again, I can just say that I was focusing on slow living. ;) Also, really what is the rush? Life goes by fast enough. We hit s record 107 degrees this week and today the high should only hit 71. Maybe that is the reason for the rush to the weekend. Right now the windows are open and the coolest of breezes is passing through my home...ahhhhhhh, that is what I am talking about. Now today, I pray the day drags at the slowest pace possible. Despite the fact that I am dying to get to the next color change in my Fade shawl, I need to remember that slow motion knitting is not a bad thing. I have started some new socks that are part of a review for an exciting May Indie Dyer of the month feature coming next Sunday. 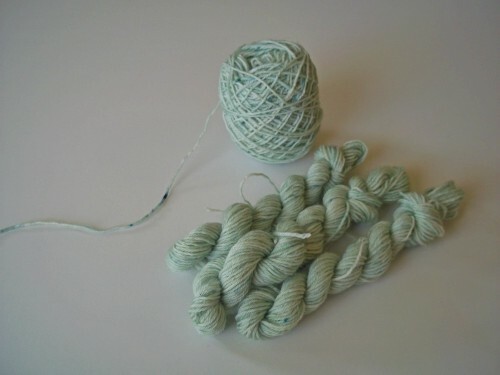 Everything about this yarn color sings Spring, does it now? I am very pumped about sharing all the wonderful things about May's feature dyer. Mail this week has been off the charts good. 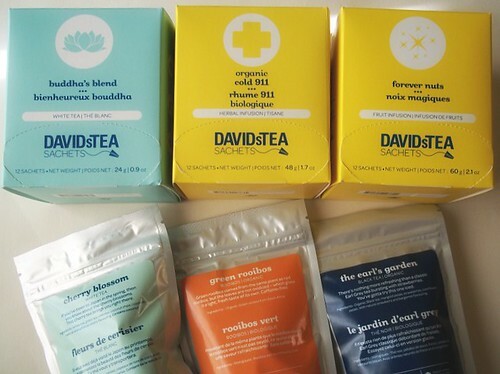 My tea shelf is now restocked...and honestly it didn't need to be restocked. I had a gift card that from a friend that was due to expire so I leaped at the change to stock up on some of my always favorites (forever nuts, cold 911, Buddha's blend) as well as try some new to me ones. Me and my dear friend Julia (in Australia), have been suffering through an epic cold for weeks on end. Luckily mine already passed but Julia thought she would send me a lovely care package because she is absolutely stunning like that. Seriously I wish I could hug her. Thanks to a beautiful Sunday and wonderful friends, my angst about the long hot week has ended on a magical note. I hope your week and now weekend has been especially kind to you. Well not really food, but a condiment. 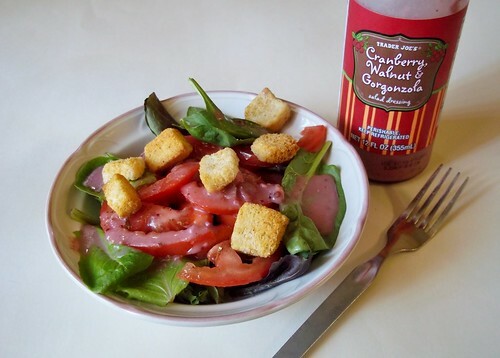 Trader Joe's Cranberry Walnut Gorgonzola dressing. Amazing! Helps make my sometimes boring lunches brilliant. Alright enough babbling from me, let's go visiting from Loves from the month of August! 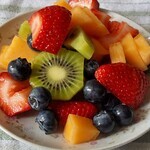 Claudia's blog always feed my desire for beautiful knits as well as yummy foods. 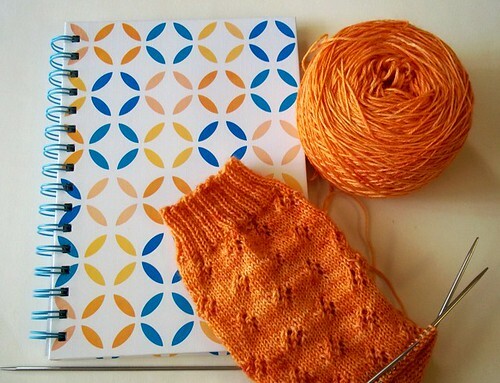 In this post Claudia features the most beautiful Doodler shawl. I have seen this pattern and thought to myself, that's cool. But sometimes it takes a certain color combination to make you think to yourself, I should knit that. That is how I feel about Claudia's Doodler. I love to visit Diane's blog whenever I get a chance. 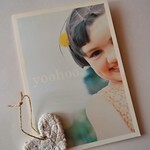 If you have read my "loves" posts for long you know that she is a regular on my list. I cannot get enough of her beautiful images and glorious words. 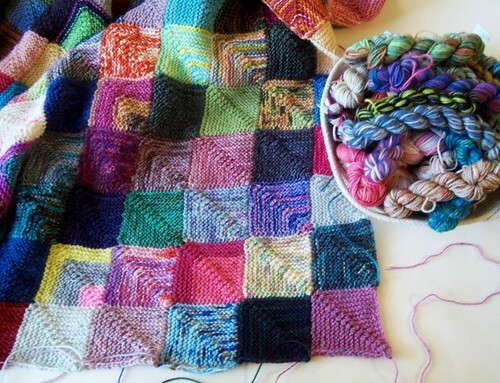 I began blogging because I wanted to connect with other Yarnies, people who love talking about yarn as much as I did. Being able to visit other blogs and share in the experiences really is the most beautiful love of my life. 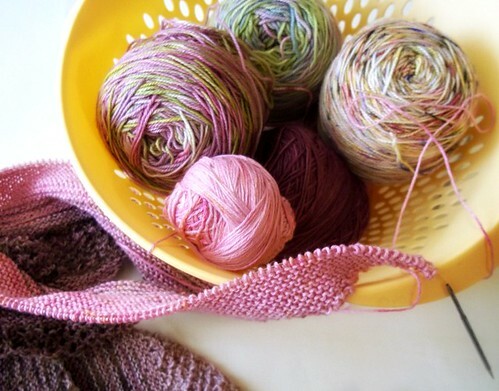 Casey's blog post about her Yarn Story filled me with total joy! Quite a few people in my life are having babies or becoming grandma's, so aren't these baby rattles perfect for the yarn lover in your life? 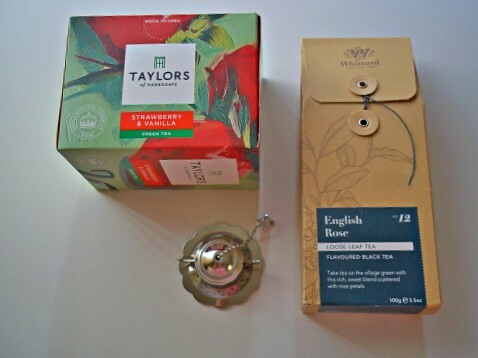 As you all know, Tea is queen in my home. 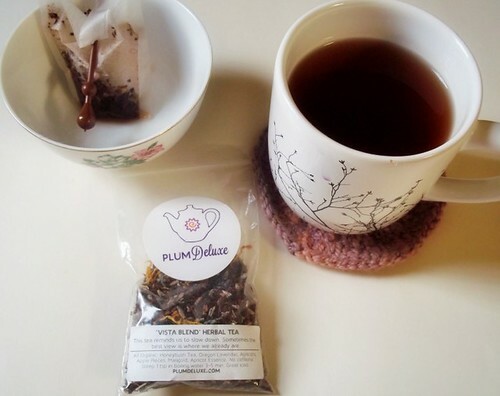 One of my favorite brands is from Plum Deluxe (top pic), they not only make delish tea but their blog is quite wonderful. 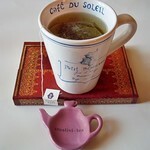 I adore this post on Tea before bed. My sister has recently gotten into crochet and has quickly become brilliant at it. So much so that she made a baby blanket for one of my coworkers. So when I see Glenna's finished blanket it makes me think dream that before long, my sis will copy Glenna and be making me one of these. Stephanie has completed the most beautiful knit dress! Despite the hot and humid weather she has been having, she knit a dress. A wonderfully wooly gorgeous dress. I may have mentioned my addiction to reading Susanne's knitting adventures while traveling blog posts last month, but it is worth mentioning again. This post, Knitting on the Slow Boat to Luang Prabang, Laos just gets me in the heart. I love it! 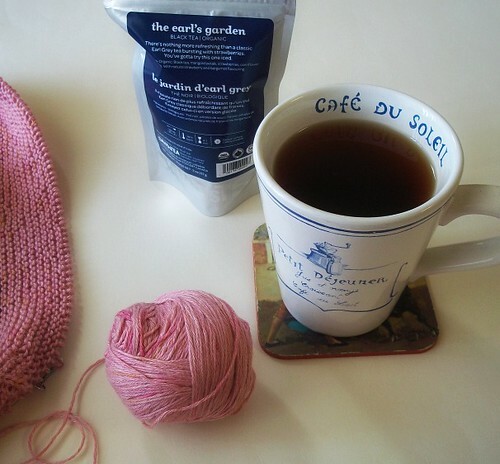 A post about sock knitting...I'm so there. 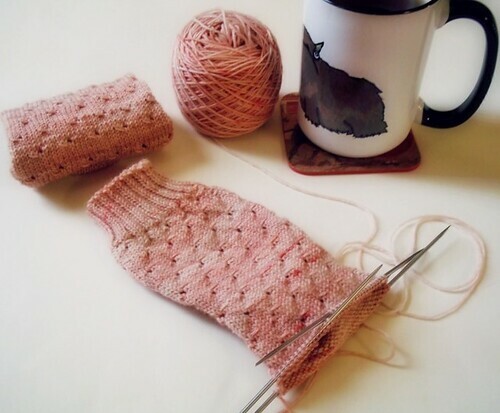 Nicolette posts about a basic sock pattern to fit and I think it is informative and awesome. I am a couch travler so whenever I read about Susanne's (above) and Alina's travels accompanied with stunning images...it makes my Loves list. Alina took us with her to St. Petersburg and now I love St. Petersburg as well, Alina! Leaving you with a song as I normally do and wishing you the best of days today!